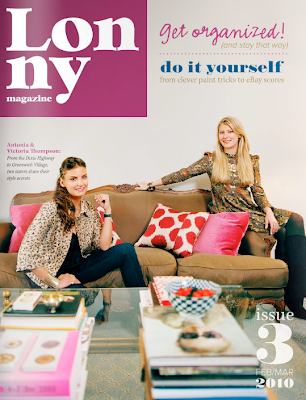 I have been patiently awaiting the arrival of the newest issue of Lonny Magazine and today was the day! I just spent the past two hours (while my son was napping) scouring through the third installment of this on-line magazine and there are so many designs that I want to share with you, the only issue is deciding where to start. 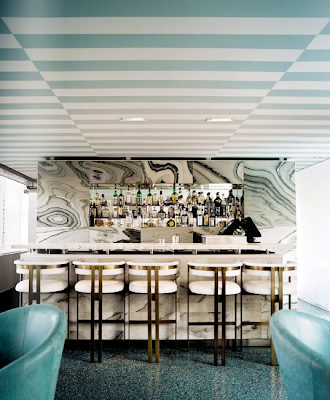 If you don't have the patience to paint it on your own (like Sheridan below) or don't know of a painter who is willing to do it, use wallpaper instead. 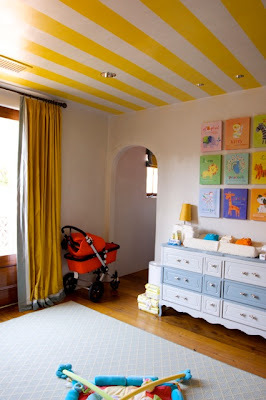 Farrow & Ball has some wonderful stripes which will get you the looked but with a softer washed-out look. I particularly like the two tone color combo below. 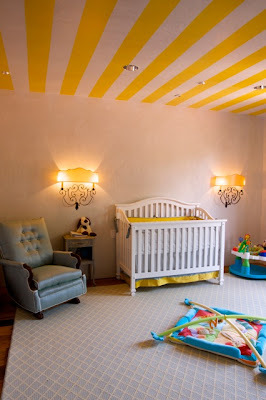 Keeping with the stripes theme, the next two images are of Jenna Lyon's son Beckett's room in Brooklyn. The images were featured in Domino magazine back in November of 2008. 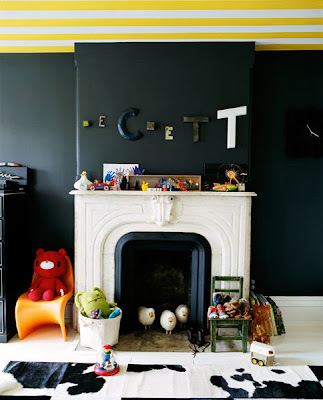 I'm still in love with the dark blackboard-esq black accent wall and contrasting white fireplace. One of the benefits of living in NYC I suppose, interesting architectural features in the rooms instead of just your standard square box. I can't wait to check out Lonny over the weekend. And I love the black wall room. May have to steal that for my son. hi-thanks for the comment! i had a feeling it was quite pricey!!!! !